Uri: The Surgical Strike has recently enjoyed immense success as a Bollywood recreation of the Indian Army’s mission across the LoC back in 2016. The movie paints a glorious picture of the Surgical Strike’s planning and execution. Throughout the movie, besides the courage and valour of the brave soldiers, another thing was evident; the incredible technology that was employed during the missions. Honestly, we may never know what tech was actually used by the Indian Para commandos to carry out their mission, but the movie’s depiction of things was rather interesting. There was everything from bird-shaped drones capable of incredible flight, to night-vision goggles with an incredible level of accuracy and functionalities. In this article, we’re going to look at the technologies depicted in the movie and see what’s their closest real-life counterparts. Probably the most prominent thing in the first few moments of the movie are the night-vision goggles worn by the Commandos as they ready to take on the Militants gathered in the forest. The green glow from the rear reticule is immediately evident to any ardent video game or action movie fan. We’ve seen these in way too many T.V shows, movies, games and even comic books. The goggles shown in the movie are pretty impressive, giving distance information and of course, providing a clear image in the dark of night, but the latest the tech has to offer has gone ever farther. Enhanced Night Vision Goggle-Binocular, or ENVG-B, is a system developed by a U.S. based company called Bae Systems. The ENVG sports day/night vision along with thermal vision, technologies already ahead of anything that’s out there, but it has one more feature that makes these the most advanced night vision goggle system. 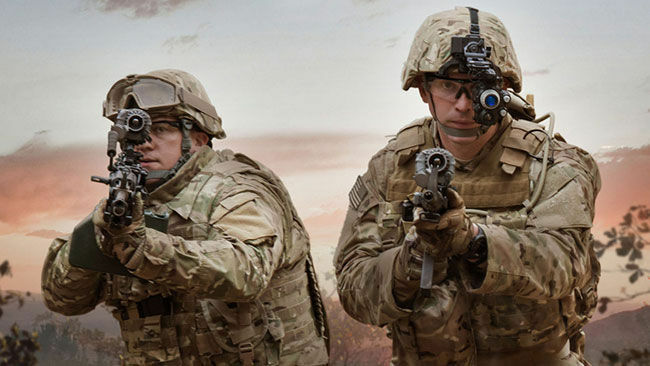 It features a technology called Rapid Target Acquisition, a system that syncs the scope on the gun with the eyepiece, allowing the image from the scope to be seen by the soldier without having to be in the line of sight. Interestingly, the company that developed the ENVG says that the night vision video feed from both the scope and the eye-piece are displayed with no lag and in real-time for the highest level of accuracy. There’re videos of the goggles in action that you can see here. A look at the tech powering the Porsche 918 Spyder - the supercar with a hybrid engine! During a short and urgent call to the DRDO, Indian Chief of Intelligence orders the space agency to task both RISAT 1 and RISAT 2 over areas of interest. The camera quickly cuts to outer space, following a satellite hurriedly swe2eping across the planet to its new position over the LoC. Next thing we know, there are images of terrorist camps being examined in great detail. Now we have seen scenarios like these in way too many movies, but what’s of actual interest here is that RISAT 1 and RISAT 2 are actual Indian satellites up in space. The RISAT 1 was wholly developed and operated by ISRO, finally being declared as non-operational in 2017. RISAT 2, is a more interesting story though. Rushed through development post the Mumbai attacks in 2008, RISAT 2 has a synthetic aperture which allows the satellite to image through heavy clouds and other atmospheric disturbances. This made RISAT 2 ideal for spying, a rumour that circulated wildly around the launch of the satellite in 2009. The then ISRO chief G Madhavan Nair clarified that the satellite was just for monitoring weather and was not a spy satellite. Maybe the movie took some creative liberties. Or did it? The movie paints the Garud drone as a critical part in making the surgical strikes happen. An intern at the DRDO apparently makes a drone to pass the time. The drone, unlike the typical spy unmanned aerial vehicles, essentially looked like an eagle, hence the name. Now the movie does take some creative liberties with the capabilities of this drone but turns out, there do exist spy drones that look like birds. Apparently back in 2016, a drone that looked exactly like a bird crashed in Somalia. 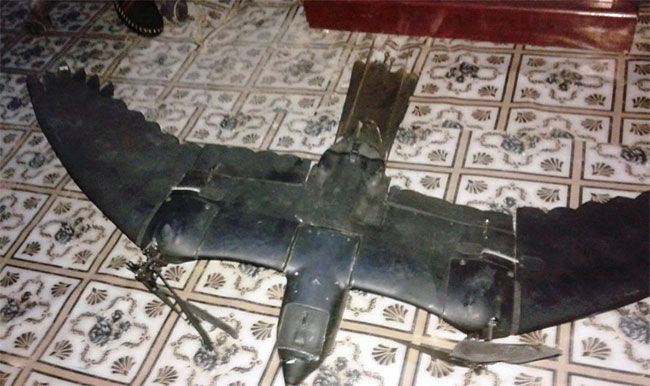 Local newspapers connected the drone to the Somalian intelligence agency, NISA. The only visible difference between the drone shown in the movie and the drone found in Somalia is that the latter had propellers on the wings that enabled it to fly. So maybe the movie’s depiction wasn’t too far from the truth. Now this particular aspect of the film was very interesting. The para commandos used four lightweight choppers to fly past the LoC. In real life, the chopper used was the HAL Dhruv, a multi-purpose helicopter. The Indian Army had a very specific requirement for the development of this chopper; that it must be able to fly at an altitude of 6500m, with a payload. The idea was to use the chopper for deployment in the Siachen area. The Dhruv served as a reference for the newer HAL Light Combat Helicopter, a multi-purpose helicopter developed for the Indian Army and the Indian Air Force. The Light Combat Helicopter was cleared for service only in mid-2016, with the chopper going into full production in August 2017. Fun fact, India and the US signed a $3billion deal in July 2018, where India is set to acquire 15 Chinook and 22 Apache helicopters. Besides acquiring the most advanced attack chopper in the world, India has also acquired the Hellfire missile package to go with the Apache. The movie shows that at the very last minute, one of the four choppers has to turn around because Pakistan had deployed the AEWAC radar. The shot in the movie then moves to show a spinning radar array, but in reality, AEWAC, or Airborne Early Warning and Control System, is actually a military aircraft. This aircraft, flying at an altitude of 9,000m can monitor 312,000km-sq of air space, distinguish between friendly and non-friendly aircraft. The aircraft can also serve as a command centre for directing air-borne and ground troops in the battlefield. The AEWAC system serves as a big and scarily accurate eye-in-the-sky and is capable of relaying real-time targeting information to the surface-to-air missiles for targeting. India’s AEWAC system has been indigenously developed by the DRDO, with components being provided by various India based defence contractors. As it appears, the technology depicted in the movie Uri: The Surgical Strike wasn’t too far from the truth, at least in terms of the technology that is available to the military. This, based on the information that is publicly available. It is entirely possible that the military actually possesses technologies that have progressed beyond what is publicly known. 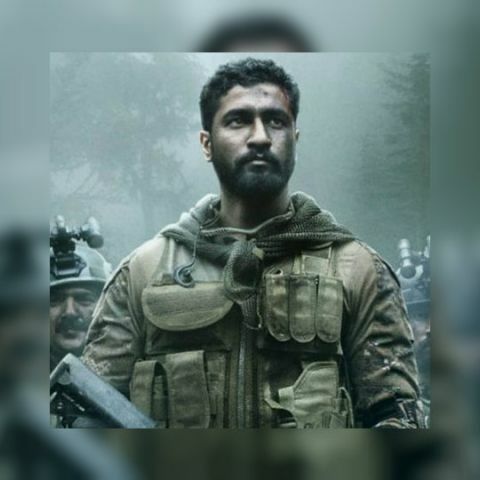 Either way, we are very impressed with how detail oriented the film-makers have been with regards to the technology shown in Uri: The Surgical Strike. What should a tech-crazy person choose?